An exhibition entitled The world $ Yours by Bulgarian-born artist Houben Tcherkelov ( Houben R.T.) who lives and works in New York will open at Oborishte 5 gallery and hall in Sofia on February 21 and will continue till March 31. The exhibition consists of 30 works from different periods of the artist’s work, including three large size oil paintings depicting scenes from American history which were first presented at the 54th Biennale in Venice in 2011 as well as paintings created in the last year. Works from Tcherkelov’s signature series of impasto paintings based on images from currency are also part of the exhibition. For more than 10 years, the artist’s work was focused on using images that come from banknotes and other financial documents such as stock certificates, bonds, and cheques. “I believe that the US is living through the Second Gilded Age that, unlike the first, is characterised not by mass industrialisation but rather by the rise and increasing sophistication of the financial sector. “Thus, unlike traditional pop art of the 20th century, my focus is not on manufactured goods but on the financial instruments that are the engines of wealth in the 21st century. The currencies I work with typically reflect moments of local economic or political transition in the countries of their circulation” the artist says on his website. 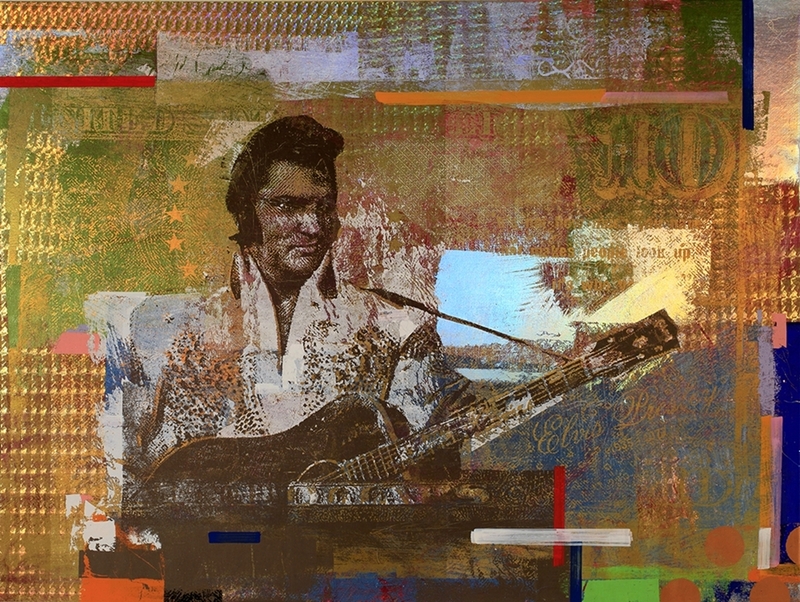 His most recent work includes popular culture images like Batman, Superman and Supergirl transposed on money and financial documents as well as the portrait of Elvis Presley on a $10 bill which can only be used in Graceland estate. Especially for The World $ Yours, Houben R.T. designed a neon sign with the title of the exhibition in the aesthetics of the 1980s, which will also be on display.